Thousands of people continue to be forced to evacuate in the Carolinas due to rising rivers after Hurricane Florence -- and more rain is on the way Tuesday. A tropical wave off the Carolina coast could become a tropical depression late Tuesday and brush the Carolinas with some heavy rain through Wednesday. 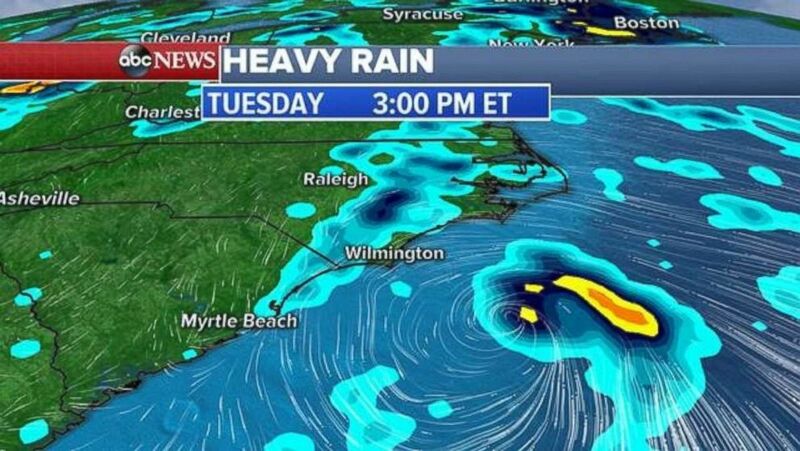 The National Hurricane Center is watching a low pressure off the North Carolina coast and saying it could become a tropical depression. A tropical depression could form off the coast of the Carolinas late Tuesday. Even if it does not become a tropical depression, the storm system will bring heavy rain, dangerous surf and rip currents to the Carolinas. After that a cold front will bring more heavy rain to the area. Flood watches and warnings have been issued Tuesday morning from Midwest into the Southeast. 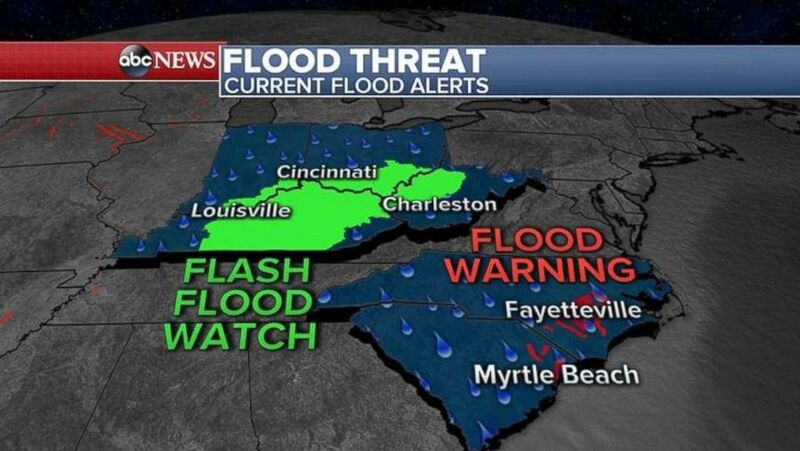 Flooding and flash flooding alerts are in place in the Midwest and the Carolinas on Tuesday. Severe storms are also threatening the Midwest and Northeast over the next two days. 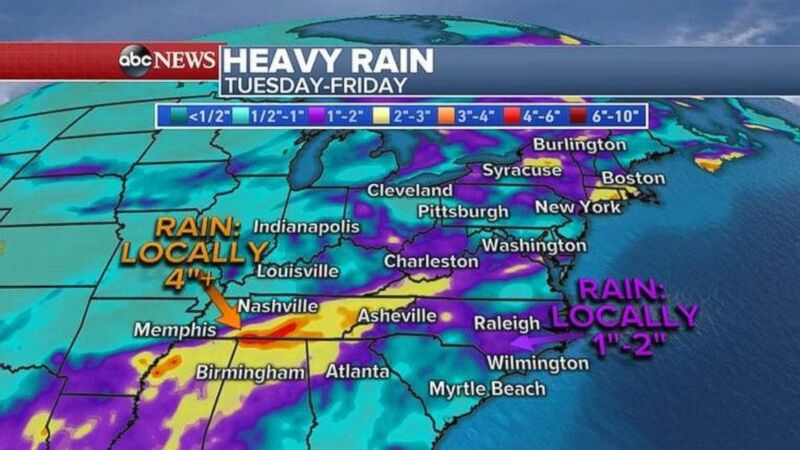 Rainfall could be over 4 inches in eastern Tennessee, while hard-hit North and South Carolina may deal with an inch or two more rain. A reported tornado produced damage in central Tennessee, east of Nashville, on Monday and more severe weather is expected. Severe weather could hit any of a number of major cities in the Midwest on Tuesday. A cold front will move into the Great Lakes and the Midwest on Tuesday with damaging winds, hail and a few tornadoes. 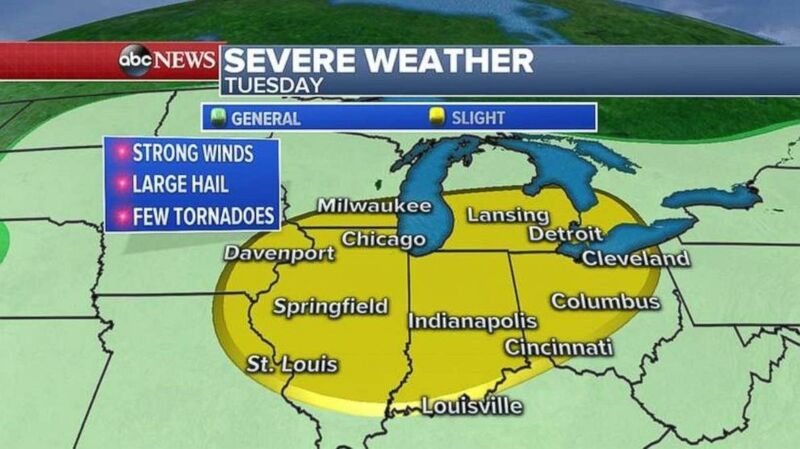 Chicago, Indianapolis, Detroit, Cleveland and Cincinnati are all in the path of these damaging storms later Tuesday. Damaging storms move into the Northeast, from Washington, D.C., to New York City and into Boston on Wednesday. Damaging winds, hail and an isolated tornado are all possible Wednesday afternoon and evening. 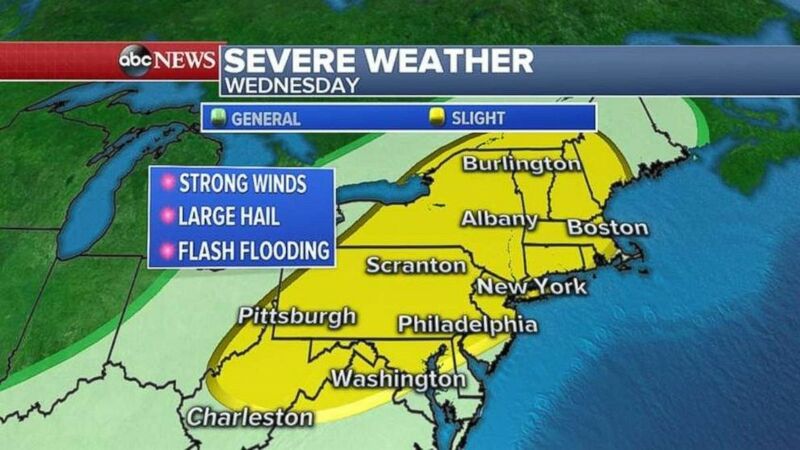 Severe storms will move into the Northeast on Wednesday.